Tobacco use is higher for the lesbian, gay, bisexual, transgender and questioning (LGBTQ) population than their straight peers. 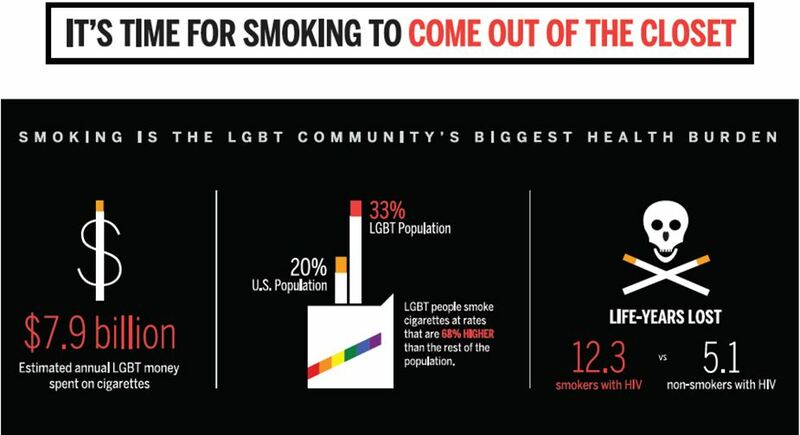 The LGBTQ smoking rate is higher than the national average. Stigma from peers cause stress for the LGBTQ which can lead them to smoke. LGBTQ youth smoke more because of peer pressure, bullying and rejection of family and friends. 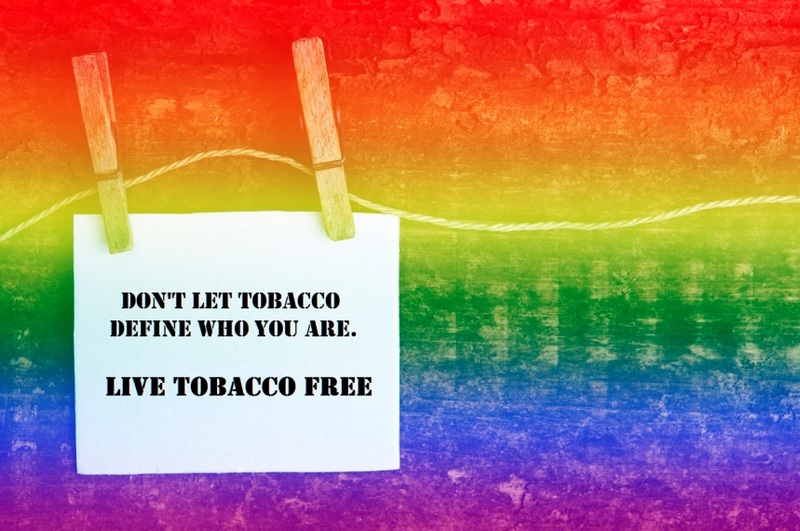 Tobacco companies use ads, bar promotions, and giveaways to get LGBTQ to smoke. Smoking a half a pack per day costs $1,000 per year on average. Don’t let smoking be a solution for stress or let it define who you are. Express yourself with activities that make a statement about what’s important to you. A toothpick to remind you to pick out the good qualities in others and yourself. A rubber band to remind you to be flexible, things might not always go the way you want, but it will work out. A band aid to remind you to heal hurt feelings, yours or someone else’s. A pencil to remind you to list what you are grateful for every day. An eraser to remind you that everyone makes mistakes, and it’s okay. A paper clip to remind you that you don’t have to hold it together by yourself. Chewing gum to remind you to stick with it. A candy mint to remind you that you are worth a mint to your loved-ones. A candy kiss to remind you that everyone needs a kiss or a hug every day. A tea bag to remind you to relax daily and go over that list of things you are grateful for. Smoking is the largest preventable cause of disease and death in the United States, and the LGBTQ population smoke at much higher rates than average. Learn more about what smoking does to the LGBTQ communities by watching this short video. Presented by the Centers for Disease Control and Prevention.